In order to promote our culture and tradition, we shall institute annual events to bring people together to share knowledge and experience. We shall promote Mbaise Art and Book Festival which is an annual literary, creative and cultural event which will be held in Mbaise. It will feature established and new writers, photographers, painters and creative across the world. The event will promote, develop and celebrate creativity in Nigeria especially the South East. Hopefully, this project will produce young writers who will go on to join the class of Chimamanda Adichie, Elechi Amadi, Chinua Achebe, Ben Okri and the likes. This festival shall be held every August as part of the famous Iri ji Festival. There will be competitions in literature, Photography and Art. Our second proposed event is focused on art and culture – The Mbaise Masquerade Festival. This festival is aimed at reviving the traditional music of the Mbaise People. It will institute an annual masquerade competition with the winner going home with a trophy and cash prize. Other side events will include various dance and cultural displays. 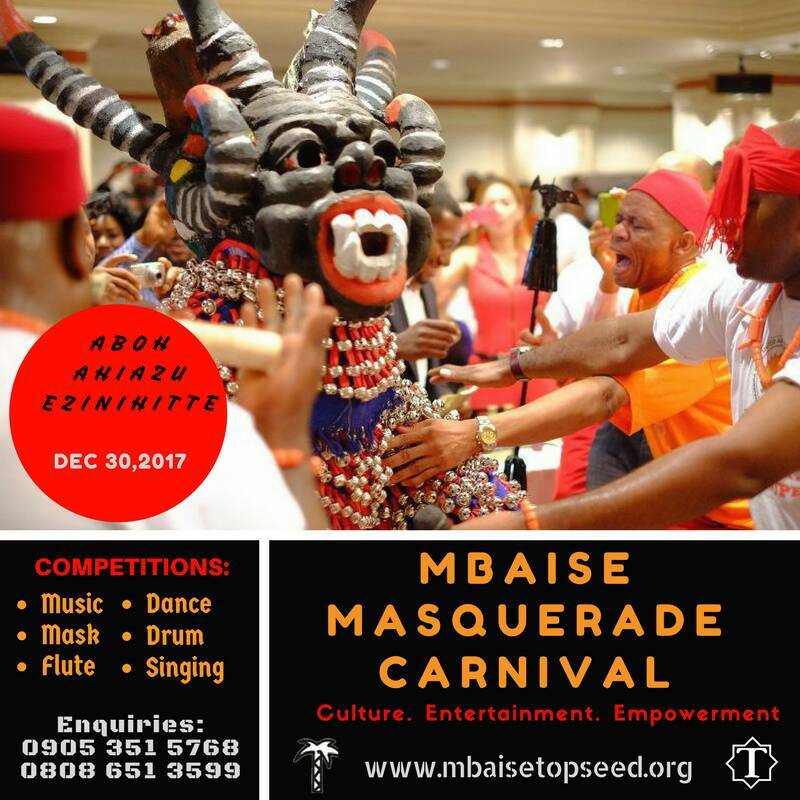 This event is billed to hold every December, to attract visitors within and outside Mbaise.